Reading Behind A Glass Wall made me realise that bipolar dis .. 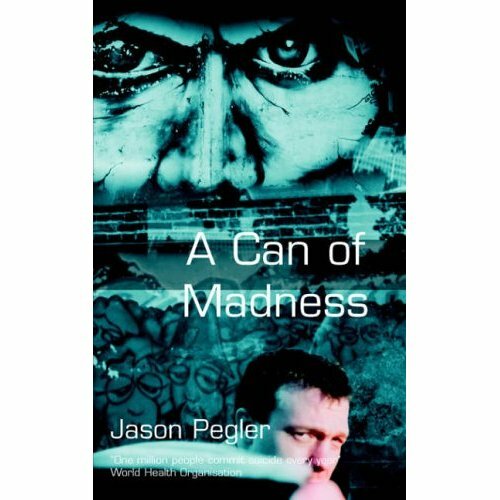 This book is the gripping and emotional portrayal of one young woman's ultimately unsuccessful battle against chronic depression. Zoe, was Dorothy's fourth daughter, born in new Delhi in 1972. When she threw herself under a train at the age of 27 in August 2000, Zoe was suffering from deep depression following a bout of mania. After her death Dorothy found her diaries, poems and other writings which she used to build her portrait. Dorothy wants to tell her daughter's story both as a tribute to this beautiful and talented young woman, who succumbed to a terrible illness and also to chart the passage of grief for a family after suicide. Dorothy wants to help remove or lessen the stigma attached to mental illness. Zoe fought hard and long but lost the ultimate battle. Dorothy hopes that the honest account of her life may help other sufferers and their families. Zoe herself would have wanted that. 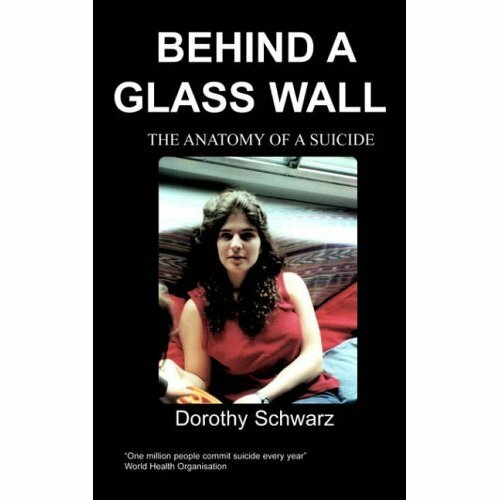 Dorothy Schwarz was born in London in 1937. She married Walter Schwarz, a journalist, in 1956 and had six children. The family lived in many countries where Walter was stationed. Dorothy brought up the kids, taught a bit and wrote children's books and short stories. She now lives and teaches creative writing part-time in Colchester. Her main hobby, now that the nest is empty, is a growing collection of parrots and parakeets. She and Walter have written two books on ecology together, Dorothy's collection of short stories entitled 'Simple Stories about Women' were published by Iron Press in 1998. After you died, we found on the top shelf in your bedroom six cardboard boxes crammed with papers in no particular order or dates, diaries in hard and soft covers, notes on loose sheets of paper, dated and undated, birthday cards and postcards, souvenirs. Business letters, bank statements, certificates won at school, medical records, letters received and letters you’d written. Maybe sent, maybe not. A box of several hundred photographs, mostly of people and animals, a few places, some of which I recognised; many I didn’t. I had no idea that you’d kept this stuff; you were such a private person. Your elder sister Habie knew. So did your friend, Kelly; I didn’t. Reading those papers brings you alive again. Woke up at 8.30. Read Lawrence’s criticism in the morning. It was a lovely day. Had lunch. …. The family was all together. The lunch was delicious. Mum & Freddie chatted in the greenhouse. Dad, Bups and me had coffee and some of my cake. We went for a walk around the reservoir. It was stunning. Two swans crossed the sunray upon the water. I brought the horses in. Diana came. We had more of my cake and some of Dad’s bread. We talked, had tea and went to bed. It was a lovely, magical family weekend. Saw everyone again and we talked a lot. We had a really funny conversation at lunch about who was going to lose her virginity first. Everyone is either in love or going out with someone so we can talk about it a lot which is really nice and fun. A few years later, recovered from your first breakdown and back at university, the diary entries are matter-of-fact, whom you met, what you ate, what pleased you, proud to win games of pool, happy with your friends. Mylène [oldest friend] and I had a chat in the end sitting room. Zac [brother] came home. We went to Vagabonds and I asked to work there. Mylène and I had dinner at Monty’s…. We came home and watched the end of ‘Revenge’, which is unbelievably sexist. Completely happy to find Tigger purring on my bed. Nothing melodramatic – just content with your life and loving the people around you. Sunday 5th of May Mylène and I woke up late. We spent the afternoon chatting in the Peldon Rose. After dropping her at the station did some typing. … Tigger sleeping in my bed. Being close to Mum and Dad. Mylène being happy. Adnan kissing me on the cheek. Zac showing me his design projects. Out of many entries that read, ‘chatted with Mum,’ I can’t recall whether the chats were fruitful and loving or whether we argued. And during your last illness, when we brought you back to Greenacres in the spring and you died in the summer, the first summer of the new century, during those five months you spoke little and wrote almost nothing. You left those boxes on the top shelf in your bedroom where you knew they would be found. Your Dad believes you were too modest to think anyone would bother to examine them and we’d just throw them away. None of us would have done that. One of my oldest friends, Heather, and one of your closest friends, Kelly, came to help me. We sorted the papers into foolscap folders – in rough categories - letters, love letters, diaries, notebooks, mementos. We didn’t keep every single birthday card and postcard (there were hundreds). Although it hurts to see your handwriting, I have no qualms about reading your diaries and letters or even publishing parts of them. You did not die in a fit of florid madness or rage; you planned your suicide with care and left a hand-written list of forty friends whom we were to contact. Perhaps those papers represent an unconscious sort of last present to us as well as a rebuke; we did not understand you well enough and not everything you wrote was complimentary. From a young age, you had a wickedly sharp way of slicing through pretension. At least one person, amongst those few to whom I’ve shown some of your writing, has said, “don’t print what she wrote, it’s too hurtful.” And in so much of what you wrote in your twenties, when outwardly you seemed happy and successful, inwardly you were grappling with demons. You gave them human faces; they resemble people you knew including your parents. Two days after your death, we found an Internet site that claimed that one in five manic depressives eventually kill themselves. That statistic isn’t a classified secret, although we never discovered it during your lifetime. Were we, as well as you, afraid? 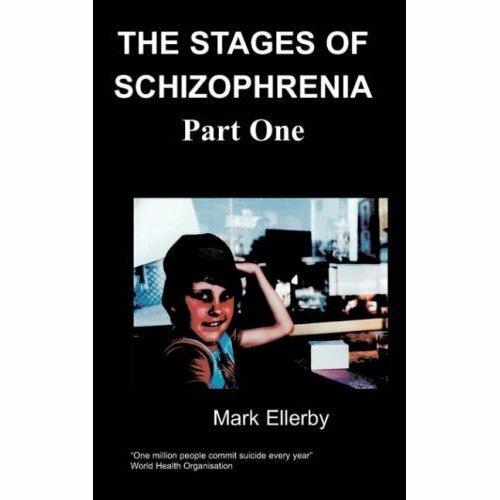 You wanted to believe that your illness at eighteen was ‘cured’. You didn’t want the label of ‘someone suffering from mental problems’. We accepted that and went along with the idea; easier to refer to Zoë’s breakdown NOT Zoë’s first episode. Easier to let our pleasant life slide on. .